A candidate for press secretary in the Trump administration suggested drug testing the White House press corps to Trump’s transition staffers. The proposal was one of 13 ideas a candidate for press secretary pitched in November in a confidential memo to members of the Presidential Transition Team’s Executive Committee, the New York Post’s Page Six reported. The candidate, who was not named in the report, did not get the job. Trump’s eventual pick for press secretary, Sean Spicer, did not voice any support for drug-testing the press corps, but instead supported more traditional security measures. “I support whatever security measures are recommended by the Secret Service,” he said. 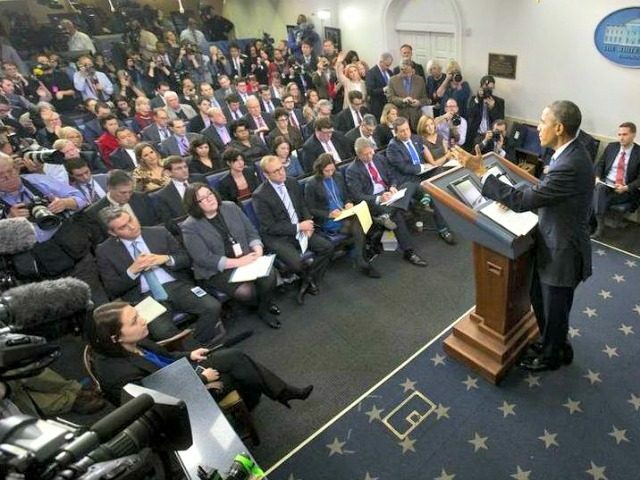 The applicant also proposed taking away the White House Correspondents’ Association’s right to choose seating arrangements for reporters in the briefing room. The current seating arrangement favors certain newspapers and TV networks over more ideologically diverse outlets. The White House mocked President-elect Donald Trump back in October after he jokingly suggested that he and Hillary take a drug test before the next debate, Politico reported.